What a great corporate holiday event at the New England Aquarium! The music was groovy, the decor, design, and lighting stunning. We are so happy to work with such great clients. Please inquire about our amazing DJ's! Our cool DJ sheers for the DJ booth, Cool Lounge Vignettes, glow high boys and amazing uplights!!! The video below featuring DJ Matt. Big thanks to our amazing General Manager Aziz, for all his hard work. 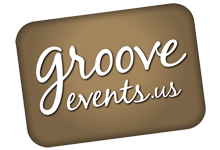 Aquarium Corporate Event 2018 from Groove Events on Vimeo. New England Aquarium Corporate Event! Great night of fun and entertainment!